Synopsis: Pride and Prejudice was only half the story. "If Elizabeth Bennet had the washing of her own petticoats, Sarah often thought, she’d most likely be a sight more careful with them." 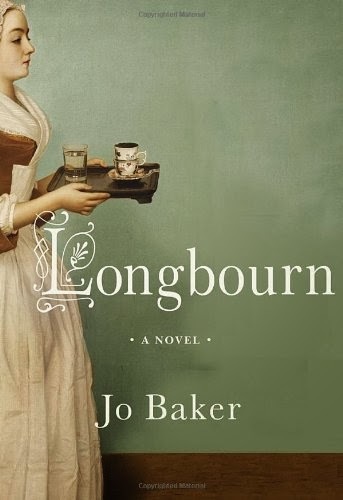 My Review: Longbourn is a retelling of Pride and Prejudice. It is told from the perspective of the hidden servants whom Austen briefly mentioned in her novel. The main character of the story is Sarah, and it is about her everyday life as a servant. Suddenly, Mr. Bennett hires a mysterious footman, and her quiet life is turned upside down. Sarah soon becomes caught up in a swirl of a love triangle, scandal, and drama, while upstairs Elizabeth Bennet is having a slow-building romance with Mr. Darcy. Sarah is a sweet and hardworking girl. She likes to read books, and likes to know about events going on in her world. She is also very adventurous, and wants to see the world around her. She is inquisitive and asks questions and likes to search for answers. She is very observant and tends to see traits in other people’s personalities that an average person does not usually notice. However, she can be impulsive and makes irrational actions without thinking through things clearly. She needs the help and guidance of others to help see the impulsiveness of her actions and to make rational decisions. She is also stubborn, and when she makes a decision, she clings to it. Even though there are links to Pride and Prejudice, there is very little interaction with the main characters of Pride and Prejudice, for they are mostly in the background. I did not like the portrayals of the Bennet family, for I found that I did like any of them. They did not seem like they cared much for their servants, for if something bad happened to them, they did not seem to notice. When they did show them attention, they treated them as if they are pets, as if they are there for their pleasure. Overall, I found the book to be an over-hyped and trite sensation of a retelling of Pride and Prejudice. There is not a lot of action in the plot, for most of it involves scrubbing the floors, preparing meals, dressing the Bennet girls up, running errands, etc. I felt it to be a disappointing portrayal of the Bennet family, whom in this book, they are described as lazy, self-centered, and uncaring. 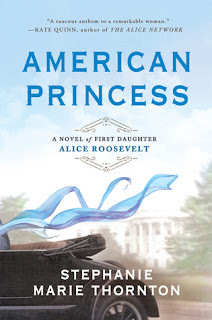 The book is well-written, and it is clear that the author has done her homework on the Pride and Prejudice novel and the era the book is set in. If you still want to read it because it is a popular bestseller, then you should. You may enjoy it. However, there is nothing new about this book, and there are other books out there based on Pride and Prejudice that in my opinion are better than Longbourn. They just don’t get as much attention or the money coming in from Hollywood, who is already making a movie adaption. I haven't read the book, so it is difficult to comment, but I feel that it would be a very brave (or somewhat ill-advised) person who would take on an author like Jane Austen and a book like 'Pride and Prejudice' by writing what is, in effect, a sequel or a 'parallel' novel. Perhaps Jo Baker should have written her story as a stand-alone, without it having to be propped up on 'Pride and Prejudice'. As Jane Austen's book is such a masterpiece, the strong references to, and the dependency on, 'Pride and Prejudice' will simply emphasize all that is lacking in Jo Baker's book. Hi, I agree. It should have been a standalone without any references to "Pride and Prejudice". I would probably have enjoyed it a lot better. Winner of The Captive Maiden Giveaway!